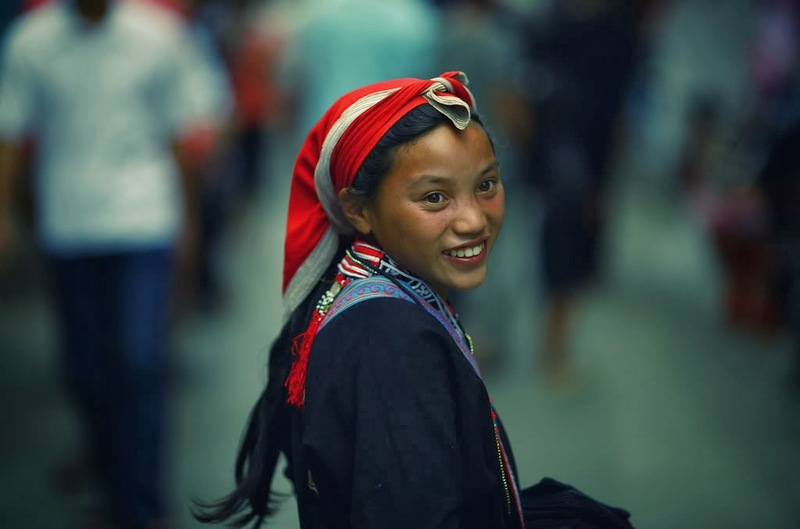 Mentioning Hanoi, people may immediately think of a cultural space with various etiquettes and customs from the old time. 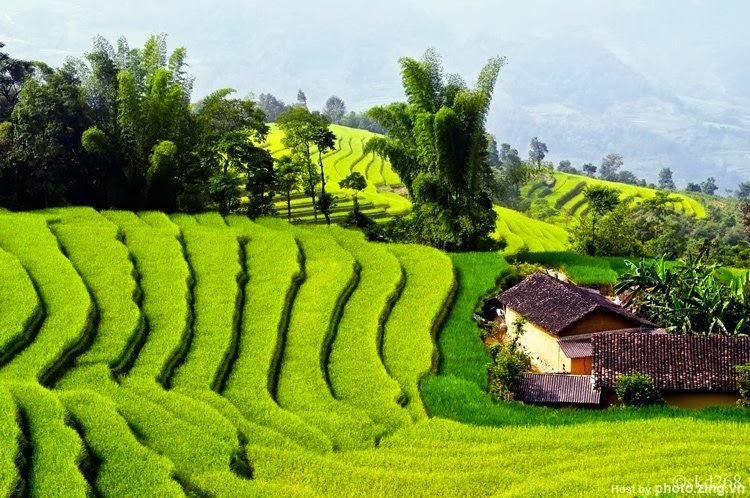 Although tea is a big thing, coffee and the way people enjoy it are also among the most recognizable characteristics of this ancient capital city. Beginning a day with a cup of hot coffee is an indispensible hobby of many working Hanoians, though each one has his or her own way in his or her own favourite place. And unlike major capital cities elsewhere in the world, coffee in Hanoi is hardly found in chain with standard menu, but very versatile and unique. Coffee houses spread anywhere from sidewalk to office building, from being colorful to attract teenagers to offering more human-animal interaction in the busy Hanoi. 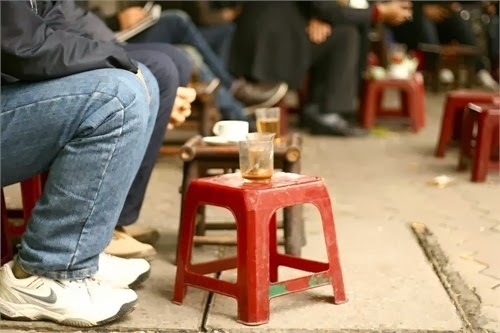 Appearing in Hanoi since the first years of 19s, during colonial time, street café is undoubtedly the most popular choice of Hanoians to enjoy a cup of coffee. Here, there is no light, no candle, no flower nor beautiful bartenders; people can only see simple installation with little chairs and even no tables, a lot of noise and even dust. 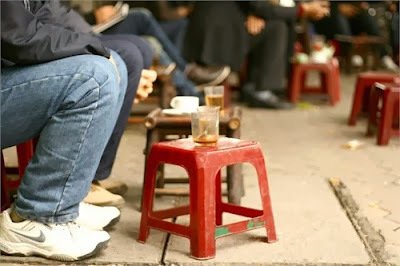 However, drinking coffee on pavements has gone to the heart of coffee holics in this city, where people can watch the busy life of Hanoi and express any feeling or laugh out loud carefree of interruption, since everyone coming to such coffee shop with the same purpose. 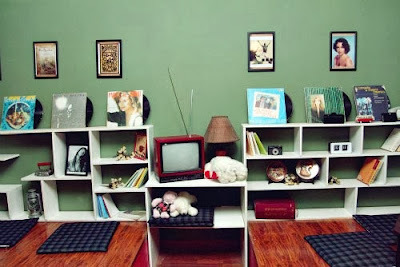 Frequent customers of street cafe is also the most diverse, with both office staffs, students and sometimes housewives. Ones may doubt about the quality of coffee on pavement shop but don’t worry because these shops have appeared long enough to prove their stable position. From subjective view of a coffee holic, I can say confidently that street coffee is the cheapest but the best quality of this drink in Hanoi. 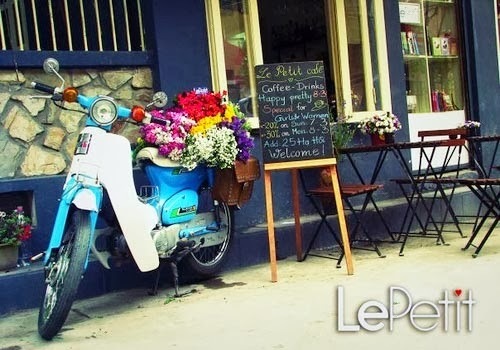 Most famous street café shops are Giang on 39 Nguyen Huu Huan, café Nguyen Du, Tonkin, café Dao Duy Tu or café Thai Phien. 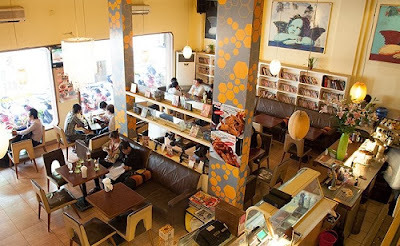 This category is named “Office Café” because besides coming to drink coffee, customers of these shops seeking for a professional decorated ambiance; beautiful view; excellent service to work, read newspaper or books; discuss serious or business matters; or simply to have quiet moments for a cup of coffee fleeing from the hustle and bustle of social life. Most of the upmarket coffee shops in Hanoi follow this style, usually on top or inside a high-star hotel with stunning overview from the above of Hanoi of lying silently inside the lush green of a garden giving relaxing glimpse to its customers. In addition, for such high quality coffee shops, there are live music performances daily or weekly is another plus point for ones’ consideration. This type of coffee shop has been expanded dramatically in recent year which is especially invented for teenagers and the youth. Coffee is no doubt the main course of these shops but their menu usually composed of vitamins, yogurt, cocktails and fast-foods. The interior of teen café is well decorated by wall painting with animated themes creating a hilarious but cozy ambiance for teenagers to either gossiping or studying effectively. To comment, this coffee style is more entertaining than enjoying coffee. 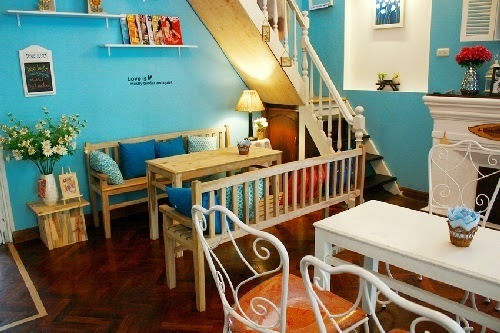 Pursuing market demands and standing out from the others, coffee shops in Hanoi are now designed in specific themes. Those themes are very diverse which may vary from an address for people with the same interest like pets’ coffee for animal lovers or antique coffee for ones who are interested in collecting antiques. To select out the most unique theme cafés shop in Hanoi, Bird Cafés on Nguyen Du Street is no where can be found in the world. Here, thousands of rare species of birds creating melodious orchestras are displayed in front of the very eyes of customers. Besides sipping a cup of coffee to power up oneself, contemplate beautiful birds and listen to their songs is another way to dismiss stresses.